Okay, this illo still needs work, but I feel I get a better “view” once I post it live for all to see. I think the hair needs to be tauter, among other things. Once I get it to a better place, I’ll color it in. In the meantime–and this is completely off-topic–does anyone else besides me find themselves “thinking” in a British accent after watching Downton Abbey? 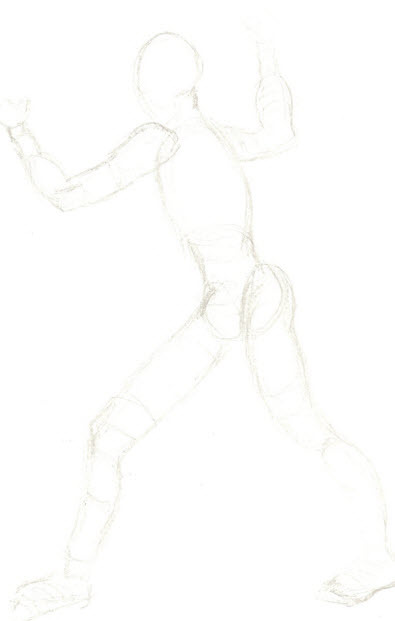 I’ve finally started character sketches this week for my manuscript that’s currently out on submission. This book has been a work-in-progress for almost one year! Here are a couple of iterations. I like the second one more because it’s more whimsical (much like the character), but she does look a bit older than I had intended. 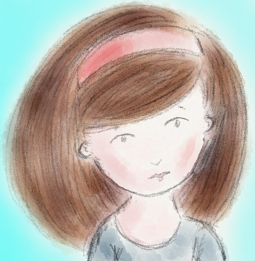 ( The girl’s supposed to be 7-8, but feedback is telling me she looks more like 10!) So back to the drawing board, so to speak! And although, yes, it HAS been a long time, I’m bound and determined NOT to start this post that way here! As always (and as it is with MOST of you), life is just full right now. That, combined with the fact that the older I get, the faster days fly by, makes for getting less done in longer amounts of time. After all, a day now compared to a day when I was 20… well, there’s no comparison. 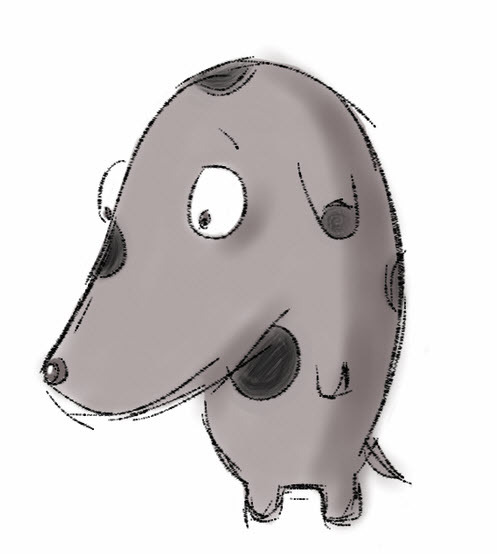 I only wish I knew the things then that I know now–I would have been quite the prolific kid lit writer! However, I have to say I’m not doing too badly. When I look at my “WIPS” (Works in Progress) file folder on m desktop, I currently have several versions of ten different “current” manuscripts. Two, maybe three, of those are pretty much done. 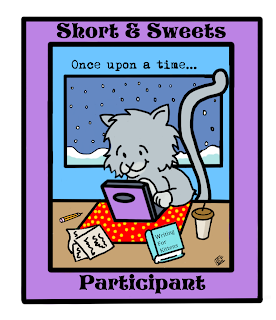 And one has been submitted to about eighteen agents, four of whom have actually expressed interest in it and would like to see other things I’ve written. (This is why I have been busy revising and rewriting a couple of other stories I feel are close.) 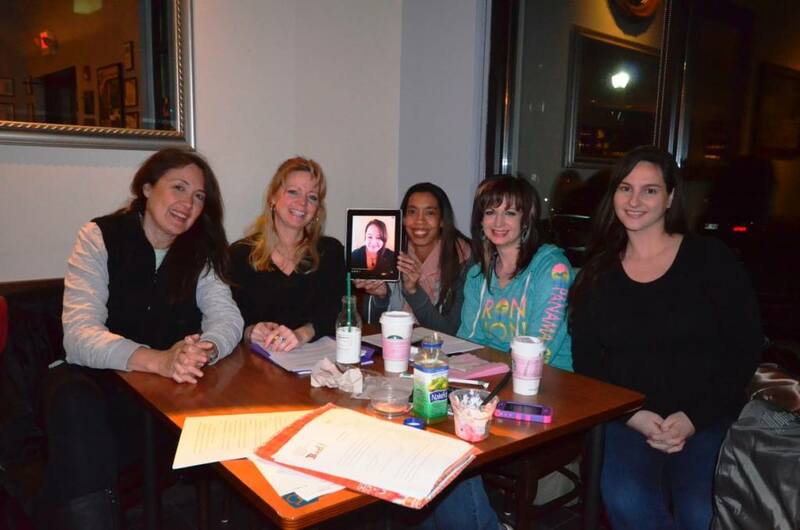 I have to give a big shout-out to my critique group (we call ourselves “Trail Mix”) here–best critique group EVER! In case you don’t know what makes a great critique group, here’s my short list: 1) Always encouraging, 2) Honest (though kind), 3) Fun to hang out with. This also applies to my friend and picture book author Linda Lodding (who just signed a two-book deal with Sourcebooks/Jabberwocky for her latest work, which I was lucky enough to see–and LOVE–before she even submitted it!) I am blessed that she has always been there to give me fantastic and helpful feedback on everything I’ve sent her. How lucky am I? Next month, I return to my regional SCBWI chapter’s spring conference, where I’ll get one of my books critiqued. I hope to have completed a dummy of one of my WIPs by then. I also hope to attend a Highlights workshop this summer. Ah well. I DO feel that I am right on the cusp, the verge, of some kind of a breakthrough. Not necessarily that I’ll get published or get an agent anytime soon… but something related to all of this. It feels like some things are just falling into place. So I hope to be able to post an update here very soon to let you know that I was right! I haven’t reviewed a picture book in a while– I’ve been too busy READING (not to mention WRITING) them. In my quest to read more “episodic” (and less narrative) picture books, I’ve been on a library tear lately. Well, don’t you know one of those books is a CLASSIC of the highest degree. Yes, you can see the name in the headline here– it’s Eloise, which was first introduced waaaaay before I was born in 1955. (The scary thing is it was only a handful of years before I was born. Well, a handful plus one, that is. 😉 ) Funny how the ’50’s seemed like ancient times when I was a little kid. Ha! Anyway, after thoroughly enjoying this VERY lengthy picture book (compared to the current picture book standard, that is), I thought I’d like to review it… but then thought, “Nah, it’s been done before for Perfect Picture Book Friday.” Well, imagine my surprise when I tried to look it up on the PPBF page on Susanna Leonard Hill’s amazing website and… didn’t find it. Yay! So here is my long overdue review of a classic 58-year old, 3,445 word picture book. I never read it as a kid as far as I can recall, but it really is a timeless book. Not really a story as much as it is a pitch-perfect character study of a feisty, mischievous and hilarious little girl. A must-read! I tried to find out if Eloise had won any awards, but couldn’t. This book is highly-acclaimed, however. It’s considered a classic in the true sense. Themes/Topics: There’s no obvious built-in theme like there is with many of today’s books. If you were to try and label it with a theme, though, I suppose you can say that this is what happens when a little girl is left to her own devices in a posh hotel with only servants to look after her? Why I Like This Book: I love that it feels like it’s written by a 6-year old. There is not one period (or any kind of punctuation mark, for that matter) in the entire book. And her language is hilarious… you really feel as if you’re seeing this little girl wax philosophic about her innocent (well, maybe not so much) and her exquisite, devil-may-care kind of life. I mean, this girl has no boundaries outside of an “occasional” nanny. She has free rein to run all over the entire hotel. I had no idea how big this book was at one time– the real Plaza still has an illustration of Eloise in their lobby, apparently. And she became a huge sensation with many follow-up books, merchandise, songs… the whole nine yards. She was probably the first “huge” character spawned from a picture book… and why so many publishers today are so character-focused. 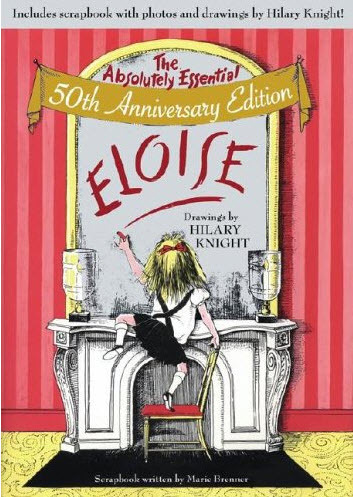 I don’t know what her sales are to date, but when the 50th anniversary edition of Eloise came out, that number was around 9 million sold. I see on Amazon that those who read it “back then” buy this book for their children and grandchildren even now, as seemingly outdated as it is. (The concepts within it are timeless; however, some of the other things, such as the fact that the nanny smokes and drinks beer in front of Eloise– yikes!– are soooooo 1950’s.) Can you imagine that in a picture book? Anyway, unique book. Unique story. Unique word count (let me reiterate: over 3,000!). All in all, this is a fun read– don’t miss it if you can get your hands on it. 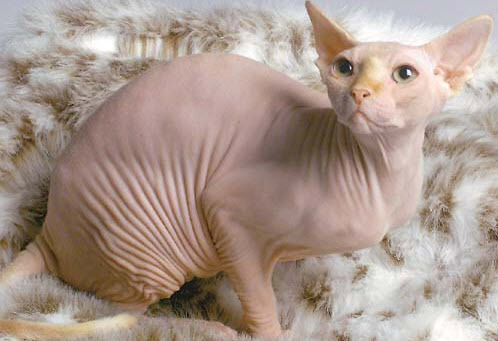 A long time ago cats had no fur. Dog and Raccoon made fun of Cat. Then Cat got sad and asked for another life with fur. He gave up one of nine lives. All the other animals were jealous of this. “Why does Cat get 9 lives? !”, exclaimed Dog. “I don’t know.” But Cat didn’t get fur. Then Cat saw some dog fur and took it. Then Cat made it how Cat wanted. Cat told Cat’s friends how to make it. They made a den and they were happy. But not for Dog. Dog growled so loud he woke everyone in town! The cats were happy to not be made fun of. THIS cat has NO fur! Can you TELL which household pet this kid prefers? Pretty obvious, I guess. Well, he’s allergic to dogs, so that’s partly why. Where Does a Month Go? 1. I am editing my first book– a work of short stories– to be published by a small American publisher in June. 2. I am writing the second half of my picture book that started out as a rhyming book about a dinosaur dance… and after getting great character feedback from KidLit.com legend Mary Kole, it evolved into a rhyming book with a completely different story (and character)… AND,after receiving great feedback from my published picture book author friends Linda Lodding and Lori Degman, it has evolved into what it is BECOMING today– that is, a pure prose picture book that has been darned hard to write! But it is *almost* there. 3. I have been taking a wonderful course entitled Making Picture Book Magic, created by none other than picture book phenom Susanna Leonard Hill, author of the top-selling Punxsutawney Phyllis, Can’t Sleep Without Sheep, and at least 10 other fantastic picture books. Susanna is also the founder of Perfect Picture Books, which I used to be good about participating in every Friday! 4. 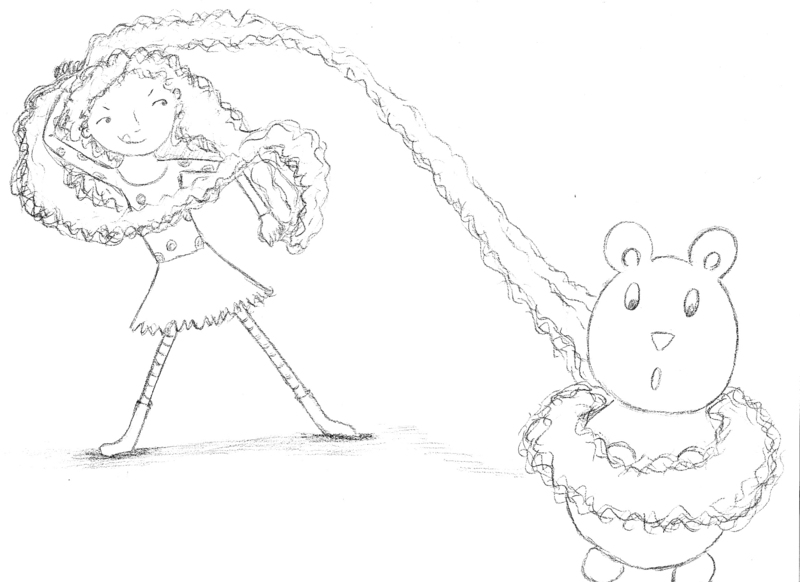 I started another picture book that was inspired by one of Susanna’s lessons. This one seems to be writing itself and the process is going blazing-ly fast. 6. I just wrapped up chairing my son’s school Bingo Night, which (thankfully) happened this past Friday night. 8. I am now chairing my son’s school spring and fall Scholastic Book Fairs. SO excited about that, but they’re a lot of work! 9. I also will be chairing 4th grade book club next year, and am in training THIS year. 11. Oh, and here’s a little thing… I have been helping my husband with our family business and will be taking on a much bigger role in the months to come as he sets his sights on starting a new business. Yes, there is that. However, I will take on anything and everything having to do with reading and if I can actually make a little living– and give back– with books as my guide, I will be one happy camper (or, uh, reader/writer, as it were) for the rest of my life. I HAVE to finish this picture book by February 22nd, though. It is due that day to go to a freelance editor who used to be an editor with one of the “big houses” for 10 years. I am thrilled to have her give my little manuscript a read. That’s the same weekend of our regional SCBWI conference (where my “kites” and presentation are due!). That’s also the same weekend my husband and I are hosting a little soiree. I’ve got a lot to do over the next (less than) two weeks! Oh, and did I mention… this blog will be changing… evolving… very, very soon. When it does, it won’t be just about me anymore. Oh no… it will be a joint venture in what I hope will turn into a great resource for kid lit folks everywhere as a result. I can’t believe it’s been nearly a month since my last blog post! December flew by, and I can’t believe that Christmas is over… let alone New Year’s Day! It has been a fantastic winter break, though, and much to my 9-year-old’s chagrin, he goes back to school this Monday. That means Mama needs to get back to work! I’m warning you. If you turn the page, you are going to see some terrible things. Some really terrible things. This book is full of them. Didn’t you read the title? Links to Resources: Marty Kelley has some neat things on his web site, including artwork that didn’t make it into the book. More than anything, though, the illustrations (and terrible things) can create some great discussions with your child… about the book AND about other terrible things that fill their everyday lives. Then we get to a nice close-up of a dentist… about to look in your mouth. Who doesn’t love the dentist? Kids don’t – that’s who! There are more that follow (twelve total, of course)– and some funnier (and truer) than others. One of my favorites– SCARY CLOWN… aaarrrghhh! Another favorite– standing (actually, clinging) to the high dive at the community pool… with everyone yelling “Come on already… JUMP!” Been there, done that. Go get it– great fun! Discover more “perfect” picture books on author Susanna Leonard Hill’s fantastic web site, located here. I’m not sure if this book has actually won any awards, but Allen Say has been a Caldecott Medal winner, a Caldecott Honor winner, and has also won a Horn Book Award. I was born in 1937 by the seashore in Yokohama, Japan. Our house stood near a fishing village. My playmates were the children of fishermen. Mother constantly worried that I might drown in the sea. She tried to keep me at home. Brief Synopsis: This is not your typical PPBF offering. Yes, it’s a picture book in that it contains a multitude of beautiful illustrations and there’s a wonderful story attached; but it’s also a bit of a graphic novel… and an autobiographical one at that. (From Amazon:) DRAWING FROM MEMORY is Allen Say’s own story of his path to becoming the renowned artist he is today. Shunned by his father, who didn’t understand his son’s artistic leanings, Allen was embraced by Noro Shinpei, Japan’s leading cartoonist and the man he came to love as his “spiritual father.” As WWII raged, Allen was further inspired to consider questions of his own heritage and the motivations of those around him. He worked hard in rigorous drawing classes, studied, trained–and ultimately came to understand who he really is. With watercolor paintings, original cartoons, vintage photographs, and maps, Allen Say has created a book that will inspire the artist in all of us. The book itself is a resource! Over and above the book, though, there are so many great things you can do with kids to follow this book. I think children in that older age group would enjoy creating a scrapbook, filled with drawings and writings and photographs chronicling their own lives so far. And this might be a good impetus to starting a new journal. Scholastic, of course, has plenty of learning resources on their site. I don’t just like this book… I absolutely LOVE this book. After the book fair, I brought it home and devoured it from cover to cover. This is Allen Say’s own life… actually, the turning point in his life when he was just thirteen years old (around World War II) and his parents allowed him to live in his own apartment in Tokyo so that he could go to a very well-known private school. He didn’t love schoolwork, though… what he loved was art and drawing. So although he was very responsible, he didn’t get a lot of studying done. Instead, he found the studio of one of the premier cartoonists in Japan at the time, Noro Shinpei, and boldly asked if he could be his apprentice. The rest, as they say, is history… Shinpei took him on and taught him everything he knew. Allen Say grew up to be an incredible illustrator and as I mentioned above, has earned numerous awards for his art. I grew up loving art and drawing (and then didn’t pick up a drawing pencil for almost three decades!) so I can relate to that passion of expressing yourself with art. It’s what he lived for, what his parents fought with him about, and what he ultimately ended up doing (and doing very well)! I’d strongly recommend this book for any child who truly knows what he wants to do with his life… to help him follow his dreams. 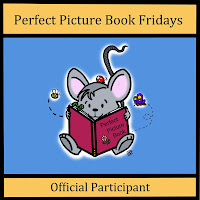 It’s been a few weeks since I’ve participated in Perfect Picture Book Friday (and I’ve missed it)– for those of you who aren’t familiar with it, visit author Susanna Leonard Hill’s blog, here, to discover more about PPBF… and much, much more! Wow, what a great contest… to celebrate the release of Deborah Halverson’s (a.k.a. “The Editor”) new book, Letters to Santa, she is offering up a fantastic contest. And I am here to spread the word! The Contest: Submit your name and the title of your picture book to The Editor, via the email form on her web site. 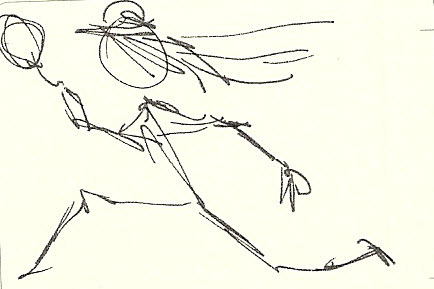 The Prize: Winner will be selected using Randomizer.org and will win a FREE full picture book edit from Deborah herself! Details can be found on The Editor’s web site, located here. For those who aren’t familiar with The Editor, she’s the real deal, folks. She was an editor at Harcourt Children’s Books for 10 years before becoming the award-winning author of Writing Young Adult Fiction for Dummies, two teen novels (Honk If You Hate Me and Big Mouth with Delacorte/ Random House), the picture book Letters to Santa, and three books in Remix series for struggling readers. She has been working with authors—bestsellers, veterans, debut, and aspiring—for over fifteen years. The books she’s edited have garnered awards and rave reviews, and many of the aspiring writers she’s coached have landed agent representation and lucrative book deals. Don’t miss this fabulous giveaway– follow the rules and enter now. Deadline is tonight at Midnight!